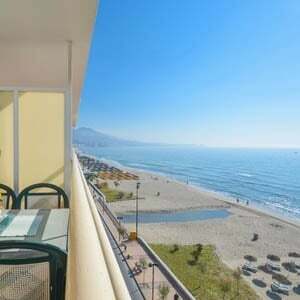 The price of renting frontline beach properties in Spain, has gone up by an average of 10% in the space of a year. There are, as always, substantial regional variations. Ibiza, once again, is the most expensive place to rent a flat on the beach for a week this summer. They found that an apartment in Santa Eulalia of 100m2 can be rented for €3,400/week, whilst a 70m2 flat on the Platja Den Bossa goes for €2,300/week. In other areas like Sant Antonio, Sant Joseph, and the area around the port of Ibiza, prices range from €1,500 to €3,400 per week. Prices on the Mediterranean coast vary from €1,600/week in Sites south of Barcelona, to as low as €300/week on some beachfront locations in Andalucia, Murcia, and the Valencian Region.